1. Osteuropa [Text] : zeitschrift für Gegenwartsfragen des Ostens/ Deutschen Gesellschaft für Osteuropakunde ; red. M. Sapper. - Berlin : Sellier- Druck. - * - z CDR.- Отримується з 1935. Osteuropa is an interdisciplinary academic monthly on international affairs and one of the leading international journals in the field of research on Eastern Europe. It covers all regions of Europe’s East: from East-Central Europe via Russia as far as Central Asia, and from the Arctic via the Baltic to the Caucasus. It is published by the the Berlin-based Deutsche Gesellschaft für Osteuropakunde (German Association for the Study of Eastern Europe, DGO). Osteuropa regularly publishes special issues on specific topics; these include the armed conflicts in Ukraine and the Caucasus, the new authoritarianism in Russia, Hungary and elsewhere, memory politics (World War I and II, Soviet camps), energy and environmental policy. 2. Перекрёстки [Текст] : журнал исследований восточноевропейского пограничья/ Европейский гуманитарный университет, Центр перспективных научных исследований и образования, Центр европейских и трансатлантических исследований ; ред. И. Бобков. - Вильнюс : [б.и. ], 2001 . - Виходить щоквартально.- Отримується з 2004. Журнал “Перекрестки” издается с 2001 г. Изначально журнал был связан с широким междисциплинарным проектом исследований восточноевропейского пограничья, поддержанным Корпорацией Карнеги (США). Проект завершился в 2015 году и журнал вступил в новый этап своего развития. Сохраняя фокус на проблематике пограничья (восточно-европейский регион, постсоветское пространство) в его политическом, правовом, социальном, культурном аспектах, журнал стремится сосредоточиться на междисциплинарных теоретических и эмпирических исследованиях в области социальных и гуманитарных наук, на их концептуальных и методологических основаниях в контексте современных представлений о специфике социального и гуманитарного знания. В соответствии с миссией ЕГУ ключевой задачей журнала является производство и распространение социально ответственного критического знания в сфере социальных и гуманитарных наук, обеспечение качества образования в единстве учебных программ с исследованиями, творческими и прикладными проектами. Журнал намерен способствовать сохранению сложившейся в университете традиции публикаций, связанных тематически и концептуально с исследовательскими приоритетами ЕГУ и их реализацинй в образовательных практиках. 3. Przegląd humanistyczny / Warszawskie Uniwersytet ; red. J. Rohozinski. - Warszawa : WUW. - Виходить раз на два місяці.- Отримується з 1989. 4. Bulgarian Academy of Sciences. 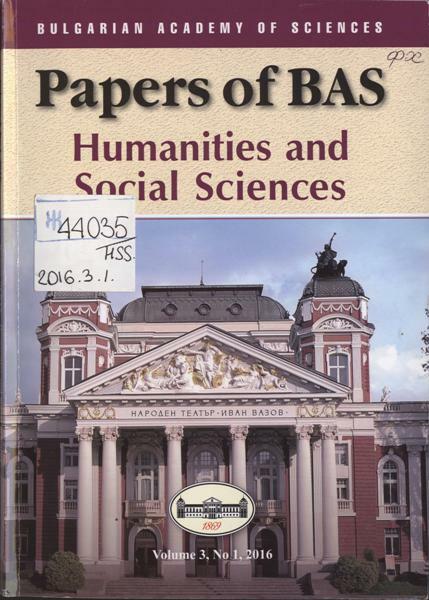 Papers of BAS. Humanities and social sciences/ Bulg. acad. of science ; ed. in chief. A. Atanassova. - Sofia : [s. n.].- Отримується з 2014. Списание "Papers of BAS. Humanities & Social Sciences" публикува постижения на учени от и извън страната в областта на хуманитарните и обществените науки. Основната цел на списанието е да представя постиженията на учените в областта на хуманитарните и обществените науки, да разширява и улеснява достъпа до резултатите от научните изследвания на българските учени, да стимулира критична рефлексия спряма новостите в научните знания. Всеки брой ще съдържа два раздела: хуманитарен (история, археология, филология, етнология и фолклористика, науки за изкуствата) и обществен (философия, социология, право, икономика, демография). За всеки от разделите ще има рубрика "Дебют на млади учени". 5. Kultura i społeczeństwo / Polskiej Akademii nauk, Instytut studiów politycznych ; red. A. Kłoskowska. - Warszawa : [б.в.]. - Виходить щоквартально.- Отримується з 1957. “Kultura i Społeczeństwo” to czasopismo, które wydawane jest z częstotliwością 3-miesięczną. Kwartalnik ten jest wydawany przez Komitet Socjologii PAN oraz Instytut Studiów Politycznych PAN i ukazuje się od 1957 roku. Każdy numer tego magazynu to zbiór bardzo ciekawych artykułów z takich dziedzin, jak antropologia, etnologia, religia, socjologia, literatura, kultura oraz gender studies. Część artykułów balansuje również na pograniczu tych wszystkich nauk. Na łamach “Kultury i Społeczeństwa” możemy spodziewać się również wartościowych polemik naukowych oraz recenzji niedawno wydanych prac badawczych. Pismo to jest również miejscem publikacji wyników wszelkich eksperymentów i badań naukowych. Magazyn ma charakter monotematyczny i często traktuje w całości o wybranym zagadnieniu kulturowym. Tezy postawione na łamach kwartalnika są bardzo odkrywcze, nowatorskie i inspirujące, co czyni z niego doskonałe źródło wiedzy i pomysłów dla całej społeczności akademickiej. 6. Wissenschaftszentrum Berlin für Sozialforschung. Mitteilungen [Wissenschaftszentrum Berlin für Sozialforschung/ Wissenschaftszentrum Berlin für Sozialforschung ; red. P. Stoop. - Berlin : [б.в.]. 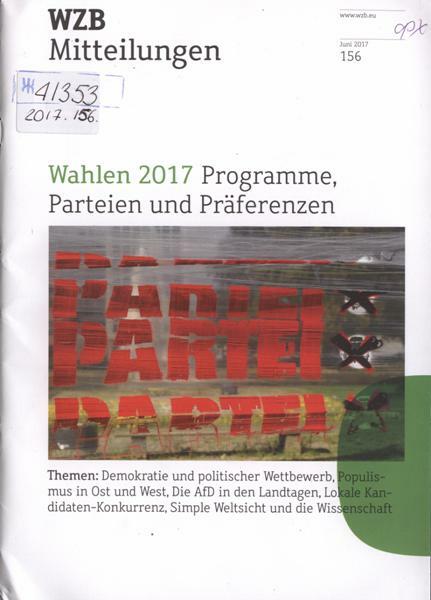 : WZB-Mitteilungen. - Періодичність: Ersch. viermal im Jahr.- Отримується з 1996. The WZB-Mitteilungen is a quarterly journal reporting general findings of the research conducted at WZB. Published in March, June, September and December, it is aimed at experts and specialists working in politics, economics, media and society. Every issue of the Mitteilungen is dedicated to a specific topic and also includes additional information about new publications, conferences and personnel. 7. 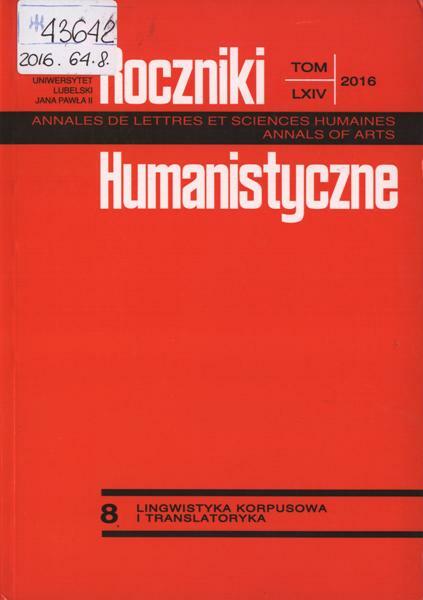 Roczniki humanistyczne = Annales de lettres et sciences humaines = Annals of arts : Prawda w literaturze. Literatura Polska/ Towarsz. nauk. KUL, Katolicki Uniw. Lubelski Jana Pawła II ; kom. red. : M. Hanusiewicz-Lavallee (red. nach.) [et al.]. - Lublin : [s. n.]. - Текст пол. - Рез. англ.- Отримується з 2009. The periodical Annals of Arts has been coming out under the publishing auspices of the Learned Society of the John Paul II Catholic University of Lublin and the Faculty of Humanities at the same institution since 1949. Annals of Arts consists of nine fascicles, which are: 1 – Polish Literature; 2 – History; 3 – Classical Philology; 4 – History of Art; 5 – Modern Languages; 6 – Linguistics; 7 – Slavonic Studies; 8 – Corpus Linguistics and Translation Studies; 9 - Sinology; 10 – Glottodidactics. Thus, the periodical represents all branches of research conducted at the Faculty. The articles selected for publication have always been of the highest quality. Issues explored in the fascicles are very diverse and encompass studies on Polish literature, history, history of art as well as modern linguistics. The studies on linguistics are particularly valuable since they are carried out by a wide group of scholars representing all Departments of foreign languages. Both the classical studies as well as the studies on Celtic languages also deserve recognition. The academic research on literary studies is devoted to European as well as world literature in languages such as English, French, Italian, Spanish, Russian, Belarusian, German, Ukrainian, Welsh and Irish. The studies on history encompass all historical epochs from the ancient cultures of the Middle East to the modern history of Poland and Europe. Analogously, the studies on the fine arts also investigate a wide range of issues: the early Christian art, European Middle Ages as well contemporary trends in figurative, abstract and conceptual art. The first fascicle of Annals of Arts, Polish Literature, is a particularly significant component of the periodical since it acts as a forum for exchanging ideas about the heritage and the contemporary status of Polish literature. 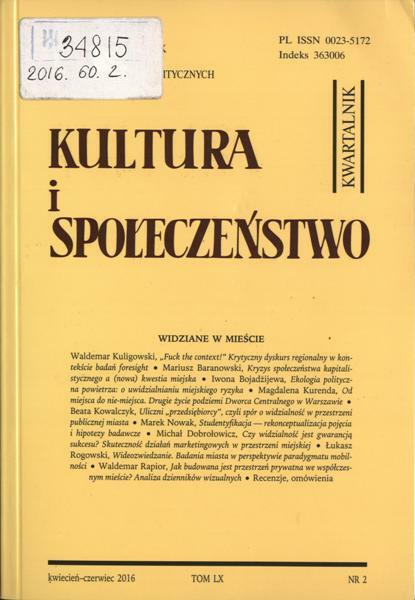 Apart from the articles exploring 16th-18th century written works, Polish Literature also contains articles presenting innovative suggestions concerning the analysis of Polish literature and culture. Since 2011, Annals of Arts has been enriched by a new, interdisciplinary fascicle 8 devoted to corpus linguistics and translation studies. What is more, Annals of Arts offers a survey of academic events and reviews of the most recent publications from all branches of the humanities. Fascicle are thematically oriented and thus often take the shape of a monograph on a selected issue. 8. 逢甲人文社會學報 = Feng chia journal of humanities and social sciences/ College of humanities and social sciences Fend Chia Univ. ; ed. board: Hui-Ju Cheng (chief ed.) [et al.]. 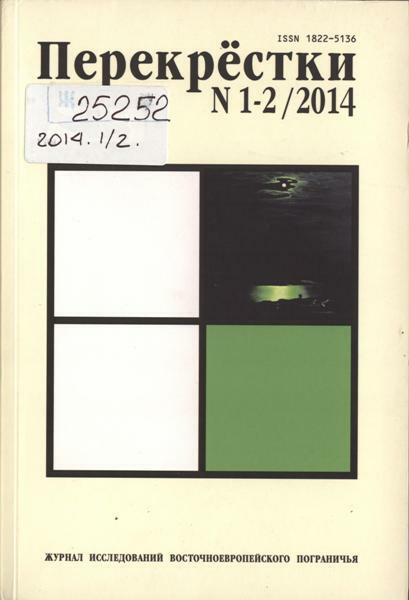 - Taichung : [s. n.].- Отримується з 2014. This academic journal is published by the College of Humanity and Sosial Science, Feng Chia University. Two issues are published every year, in June and December respectively. This journal accepts theoretical and applied researches, as well as critical studies, in the field of humanities and social sciences. The journal also welcomes interdisciplinary research papers, and the topics involve: humane innovation and social practice, transition of Taiwanese popular culture under globalization and influence for the language, spirit and action: Taiwanese religions under globalization, social enterprise and its social responsibility. 9. 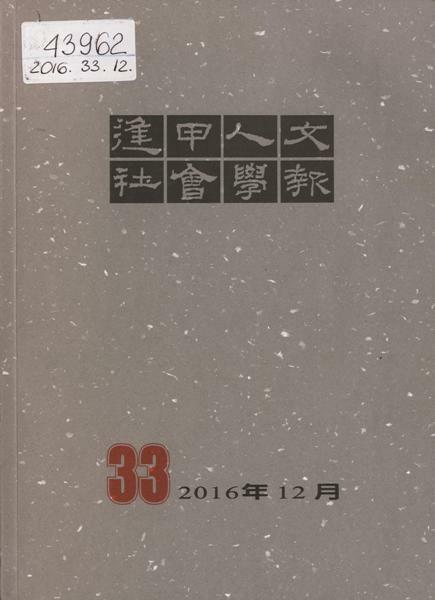 Chung Hsing journal of humanities/ College of liberal arts, Nat. Chung Hsing Univ. - Taichung : College of liberal arts, Nat. Chung Hsing Univ., 1971 . - Виходить двічі на рік.- Отримується з 2012. 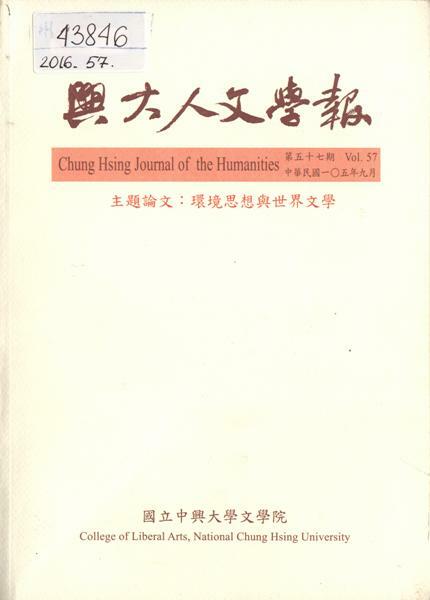 The Chung Hsing Journal of the Humanities is an academic journal (biannual journal). We welcome contributions of humanities research and reviews on related topics in literature, linguistics, history, philosophy, art, library & information science, anthropology, and cultural studies. 10. 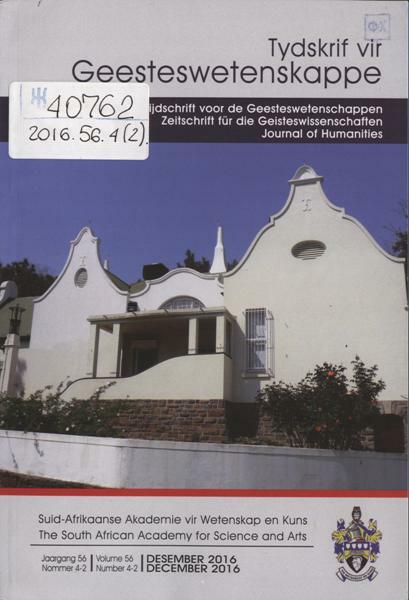 Tydskrif vir Geesteswetenskappe = Tijdschrift voor de Geesteawetenschappen = Zeitschrift für Geisteswissenschaften = Journal of humanities/ Suid-Afrikaanse Akademie vir Wetenskap en Kuns ; Hoofred. I. Wolfaardt-Gräbe. - Posbus ; Pretoria : [s. n.]. - Виходить щоквартально.- Отримується з 1992. Die Tydskrif vir Geesteswetenskappe is geakkrediteer en word gewy aan die publikasie van oorspronklike navorsings- en oorsigartikels in die taalkundige, letterkundige, kuns en kulturele, sosiale, ekonomiese, godsdiens- en opvoedkundige wetenskappe, sowel as aan boekbesprekings, taalrubrieke en gedigte. 11. 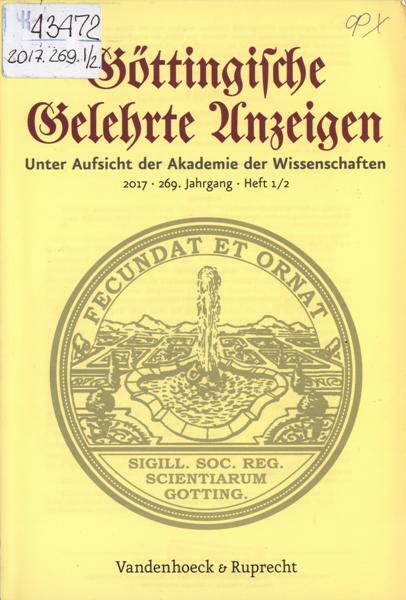 Göttingische gelehrte anzeigen [Text] : unter Ausfsich der Akademie der Wissenschaften. - Göttingen : [s. n.], 1774 . - Z 1774, Jg.31 do 1914, Jg.176 zhurnal znakhodyt'sja v bibliotetsi pid shyfrom å123. Die 1739 gegründeten Göttingischen Gelehrten Anzeigen sind das älteste noch bestehende Rezensionsorgan in deutscher Sprache. Albrecht von Haller, der erste Präsident der Göttinger Gesellschaft der Wissenschaften, hat der Zeitschrift, die sich zuerst Göttingische Zeitungen von Gelehrten Sachen nannte, ihr Gesicht gegeben: das Streben nach polyhistorischer Vielseitigkeit, eindringender, strenger und förderlicher Kritik sowie engster wissenschaftlicher Verbindung mit dem Ausland. Mit dem 260. Jahrgang wurde – in Orientierung an Albrecht von Hallers breiter interdisziplinärer Ausrichtung und seinem Interesse an der Einheit des Wissens – das Fächerspektrum der besprochenen Bücher erweitert. Seitdem werden über die bisher schon vertretenen geisteswissenschaftlichen Gebiete hinaus auch Neuerscheinungen aus der Politikwissenschaft, der Ökonomie und Finanzlehre sowie auch naturwissenschaftliche Publikationen besprochen, sofern sie, wie z.B. aktuelle Entwicklungen in den Lebenswissenschaften, für die Geisteswissenschaften relevant sind. 12. 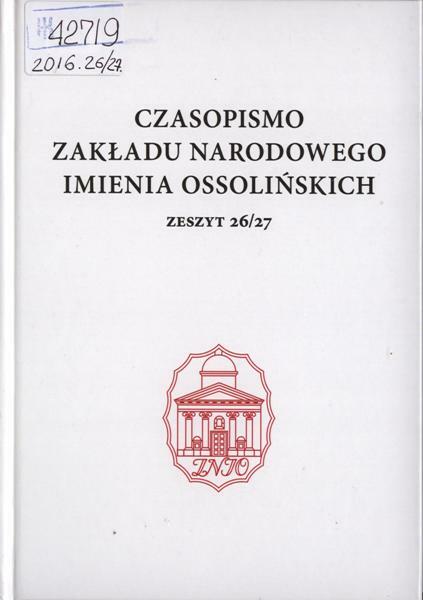 Sociologický časopis [Text]/ Akademie věd České republiky ; red. M. Havelka. - Praha : Sociologický ústav ČR.- Отримується з 1965. Sociologický časopis / Czech Sociological Review je recenzovaný vědecký časopis publikující původní příspěvky k poznání společnosti od českých i zahraničních autorů. Vychází od roku 1965. Časopis přináší stati zabývající se otázkami teoretické sociologie, články zkoumající transformační jevy a sociální procesy probíhající v postkomunistických společnostech, přehledové články zpracovávající vývoj v široké paletě oborů sociologie a příbuzných sociálních věd, informace ze sociologických výzkumů, metodologické statě, eseje, materiály k dějinám české sociologie, vynikající studentské práce, recenze české i světové sociologické produkce, anotace odborné literatury, informace o dění v sociologické obci, zprávy z konferencí, polemické příspěvky, kulaté stoly věnované sebereflexi české sociologie, a také dokumenty, jež nesměly být publikovány z různých důvodů v minulosti. Každá stať je opatřena anglickým abstraktem. Časopis je jako jediné z českých sociologických periodik citován v publikacích Institute of Scientific Information a v dalších prestižních vědeckých databázích. “Социологически проблеми” е единственото академично социологическо списание в България. Списанието е основано през 1968 г., то е тримесечно и се издава от Института по социология към БАН съвместно с Българската социологическа асоциация. “Социологически проблеми” предлага на читателите си броеве, посветени на конкретни теми или проблеми, най-общо в следните посоки: Социологията в контекста на другите социални науки; Социологията в променящия се свят; Предизвикателствата пред българската социология в процеса на социална трансформация; Социология и методологически проблеми на социологията. 14. 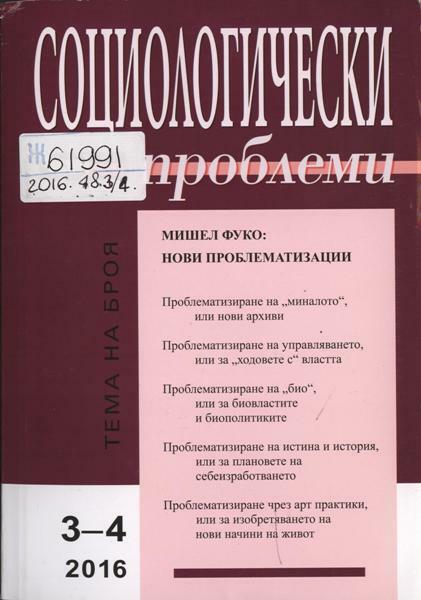 Sociological problems [Text] : special issue/ Bulgarian academy of sciences, Institute of sociology ; ed. K. Koev. - Sofia : [б.в.]. - Виходить щоквартально.- Отримується з 2002. 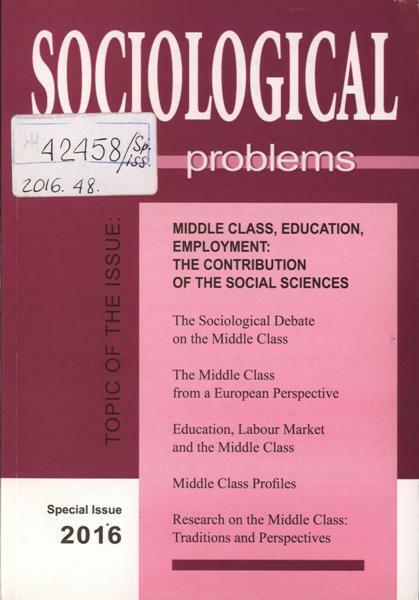 “Sociological Problems” is quarterly journal of the institute for the study of societies and knowledge at the Bulgarian Academy of Science. Шифр зберігання журналу у НБУВ: Ж42458:Sp.iss. 15. 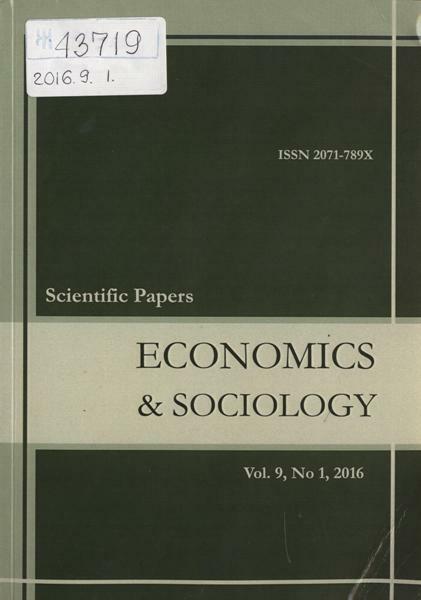 Society and economy : journal/ Budapest University of Economic Scieces and Public Administration ; ed. C. Csaki. - Budapest : [б.в.]. - Виходить три рази на рік.- Отримується з 1997. 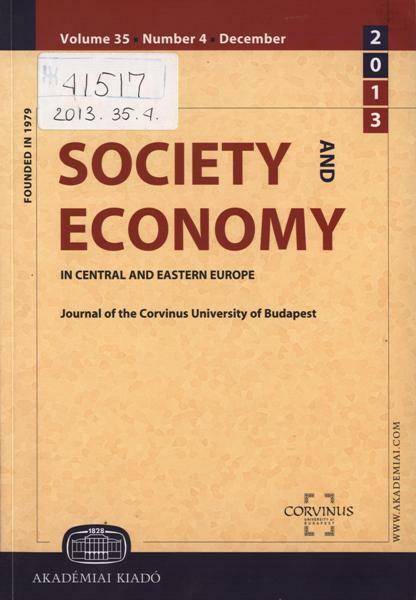 Society and Economy is the journal of Corvinus University of Budapest. The double-blind peer-reviewed journal publishes original research articles and book reviews in the fields of economics, social sciences, and business studies, which address social and economic issues in Central and Eastern Europe or have relevance for social and economic development in this region. While it welcomes articles from the international academic community, Society and Economy seeks in particular to provide an international forum for scholars working in the research traditions of this region. The journal welcomes submissions of high-quality and multi-disciplinary articles that address social, demographic, political, economic and industrial trends and challenges. The results of scientific conferences organized by the Corvinus University of Budapest are published in thematic issues. 16. Economics & sociology : sci. papers/ Centre of Sociol. Research [etc.] ; ed. board: D. Grundey (ed.-in-chief) [et al.]. - Szczecin : CSR, 2006 .- Отримується з 2012. Economics and Sociology is a quarterly international academic open access journal published by Centre of Sociological Research in co-operation with University of Szczecin (Poland), Mykolas Romeris University (Lithuania), Dubcek University of Trencín, Faculty of Social and Economic Relations, (Slovak Republic) and University of Entrepreneurship and Law, (Czech Republic). The general topical framework of this publication includes (but is not limited to): advancing socio-economic analysis of societies and economies, institutions and organizations, social groups, networks and relationships. Topics of interest for the above area include, but are not limited to, the following: Recent Issues in Sociological Research; Recent Issues in Economic Development; Interdisciplinary Approach to Economics and Sociology. 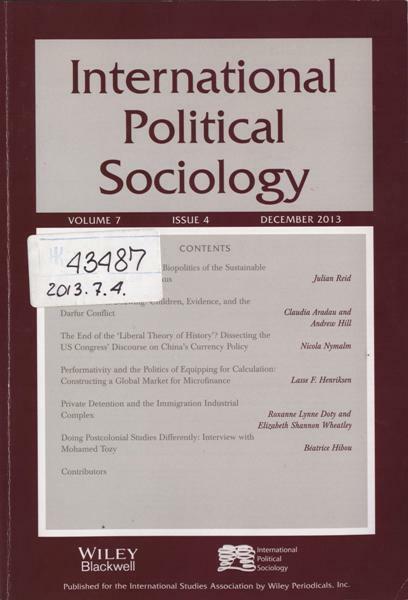 17. International political sociology [Тext] : journal/ International Studies Association ; ed. D. Bigo. - Tucson, AZ : Wiley-Blackwell, 2007 . 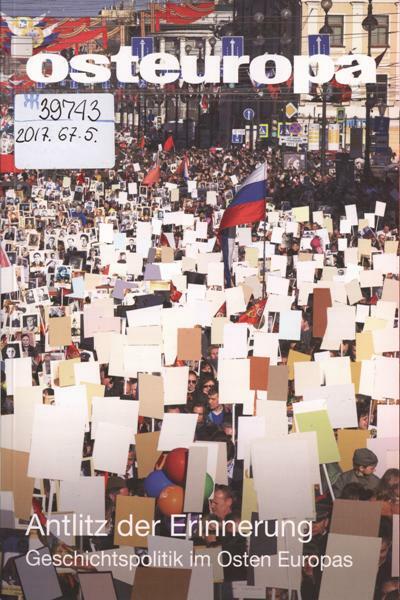 - Виходить щоквартально.- Отримується з 2009.
International Political Sociology is the fifth journal supported by the International Studies Association. It responds to the need for more productive collaboration among political sociologists, international relations specialists and sociopolitical theorists. Issues of special concern are the challenges arising from contemporary transformations of social, political, and global orders given the statist forms of traditional sociologies and the marginalization of social processes in many approaches to international relations. IPS draws especially on traditions of historical, legal, economic, cultural and political sociology, as well as on the burgeoning to literature on socio-political theory, anthropology and human geography. It is committed to theoretical innovation, new modes of empirical research and the geographical and cultural diversification of research beyond the usual circuits of European and North-American scholarship. 18. Cuadernos hispanoamericanos [Text]/ Ministerio de Asuntos exteriores de España ; red. J. Malpartida. - Madrid : Agencia espanola de cooperacion international.- Отримується з 1957. En medio siglo de existencia, esta revista ha atravesado diversas etapas, según las circunstancias históricas y culturales plantearan sus condiciones y exigencias. En la actualidad, es una publicación multidisciplinar, que presta especial atención a la producción cultural en lengua española. Cada número contiene un dossier dedicado a una figura o un tema en especial. La sección «Puntos de vista» ofrece trabajos monográficos en forma de ensayos breves, en tanto «Callejero» se dedica a notas de actualidad en diferentes campos de la cultura: pensamiento, política, letras, arquitectura, urbanismo, cine, teatro, medios audiovisuales, artes plásticas, etc., poniendo especial acento en los trabajos provinientes de España y los países hispanoamericanos. También se concede un espacio regular a la traducción de obras literarias al castellano. Se incluye en esta sección el diálogo en forma de entrevistas y coloquios. La revista «Cuadernos Hispanoamericanos» fue fundada en enero de 1948 y desde entonces ha tenido una periodicidad mensual. Su ámbito de lectura está formado por la amplia comunidad lingüística del español, no sólo donde es la lengua dominante, sino en aquellos países que mantienen centros de hispanismo. Su temática, aunque centrada en la producción cultural de la lengua española, y con especial interés por los asuntos hispanoamericanos, se sitúa dentro de un contexto universal. Sus contenidos abarcan estudios monográficos sobre temas puntuales, crónicas de actualidad, entrevistas a personalidades de la cultura, reseñas bibliográficas, notas editoriales e información sobre las actividades de la Agencia en América y las de índole americana en España. Cada número contiene un dossier, dedicado a un autor o a un tema, redactado por especialistas en la materia. 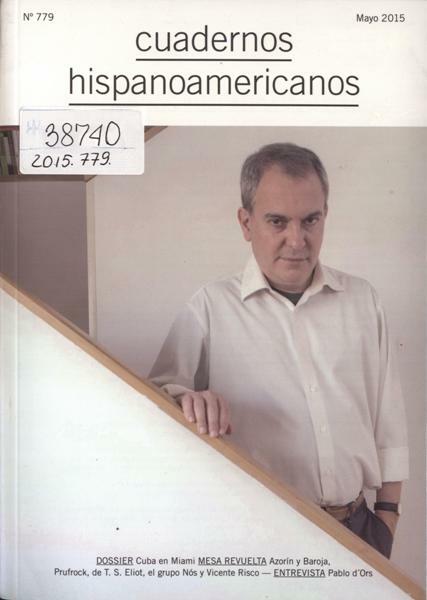 Ha sido costumbre de la revista la publicación de números monográficos anuales en los que se ha estudiado exhaustivamente la obra de grandes escritores españoles e hispanoamericanos, así como la producción cultural de diversos países del subcontinente. 19. 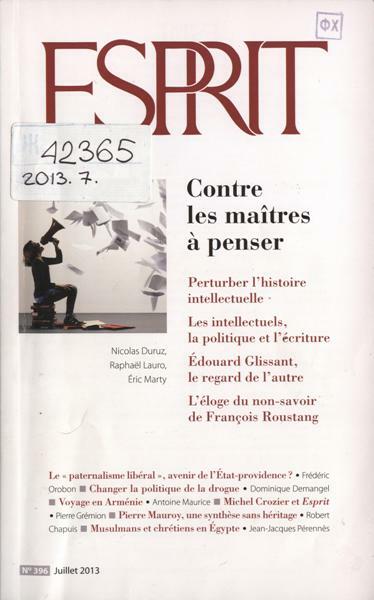 Esprit [Text] : revue internationale/ red. M. Padis. - P. : [б.в. ].- Отримується з 2001. Sous-titrée depuis sa fondation "revue internationale", Esprit s'est toujours intéressée à ce qui se passe hors de l'hexagone et a tissé de nombreux liens avec des réseaux intellectuels à l'étranger. Son travail n'est donc pas pris de court dans le contexte de mondialisation, qui exige de penser autrement les liens entre l'esprit européen, les valeurs occidentales et le reste du monde. Chaque numéro est construit autour d'un dossier, suivi d'un choix varié d'articles ainsi que d'un "journal" consacré à des textes brefs, plus subjectifs, parfois polémiques. Un panorama de l'actualité éditoriale ("librairie") offre quelques repères dans l'abondance de livres et de revues de parution récente. 20. European journal of social work : the intern. forum for the social professions/ ed. S. Braye. - London : Routledge. Taylor & Francis Group. - Виходить щоквартально.- Отримується з 2002. 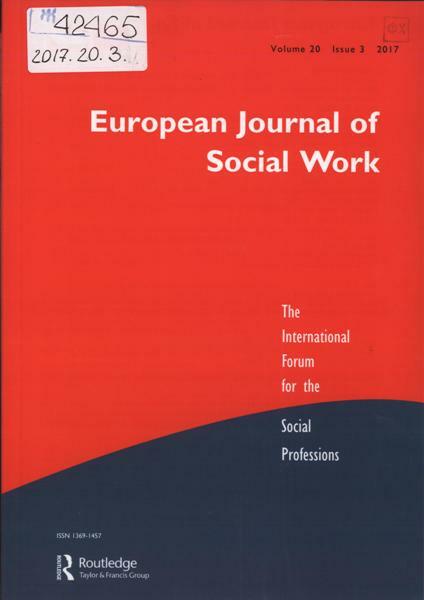 The European Journal of Social Work provides a forum for the social professions in all parts of Europe and beyond. It analyses and promotes European and international developments in social work, social policy, social service institutions, and strategies for social change by publishing refereed papers on contemporary key issues. Contributions include theoretical debates, empirical studies, research notes, country perspectives, and reviews. It maintains an interdisciplinary perspective which recognises positively the diversity of cultural and conceptual traditions in which the social professions of Europe are grounded. In particular it examines emerging European paradigms in methodology and comparative analysis. 21. 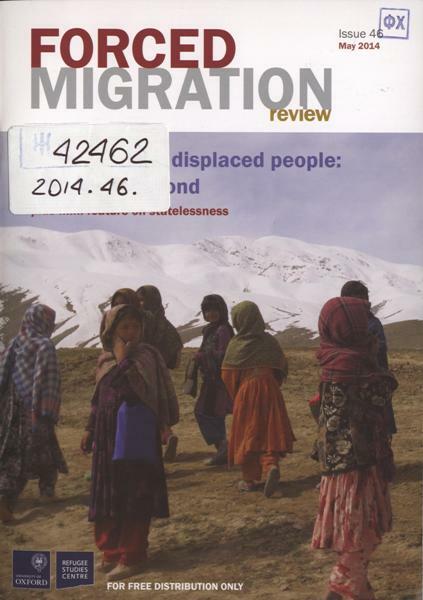 Forced migration review / ed. : M. Couldrey, M. Herson. - Oxford : [s. n.].- Отримується з 2002. Forced Migration Review (FMR) is the most widely read publication on forced migration – available in English, French, Spanish and Arabic, and free of charge in print and online. It is published by the Refugee Studies Centre in the Oxford Department of International Development, University of Oxford. Through FMR, authors from around the world analyse the causes and impacts of displacement; debate policies and programmes; share research findings; reflect the lived experience of displacement; and present examples of good practice and recommendations for policy and action. 22. Issues & Studies : a social science quart. on China, Taiwan, and East Asian Affairs/ Inst. of intern. relations nat. chengchi univ. ; ed. : J-h. Wang. - Taipei, Taiwan (ROC) : [s. n.]. - Виходить щоквартально.- Отримується з 2012. Issues & Studies is published quarterly by the Institute of International Relations, National Chengchi University, Taipei. 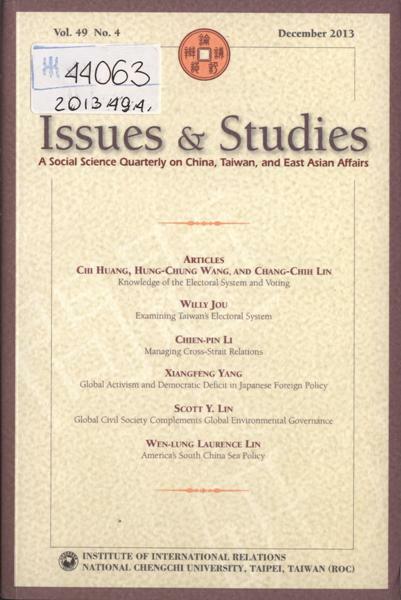 I&S is an internationally peer-reviewed journal dedicated to publishing quality social science research on issues – mainly of a political nature – related to the domestic and international affairs of contemporary China, Taiwan, and East Asia, as well as other closely related topics. The editors particularly welcome manuscripts related to China and Taiwan. 23. 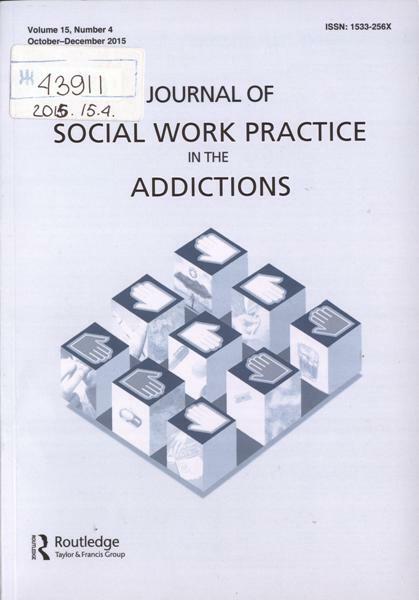 Journal of social work practice in the addiction/ founding ed. S. L. A. Straussner. - Philadelphia : Taylor & Francis, 2000 . - Виходить щоквартально.- Отримується з 2013. The Journal of Social Work Practice in the Addictions is designed to help social work practitioners stay abreast of the latest developments in the field of addictions. This journal publishes refereed articles on innovative individual, family, group work, and community practice models for treating and preventing substance abuse and other addictions in diverse populations. The journal focuses on research findings, health care, social policies, and program administration directly affecting social work practice in the addictions. The Journal of Social Work Practice in the Addictions has several regular features of interest to social workers in the field of addictions. Each issue contains a "Special Topic" column which consists of a discussion between experts or an interview with one expert about a particularly urgent issue in the field. Book reviews keep you up-to-date on the latest literature out in the market. A final column, called "Endpage," allows an author to make his or her thoughts known, whether as a client in a program or as a professional who has something special to share. 24. Polish sociological review : quart. of the Polish sociol. assoc./ Polish sociol. assoc. ; ed. in chief. K. Zagórski. - Warszawa : PTS. - Виходить щоквартально.- Отримується з 2015. 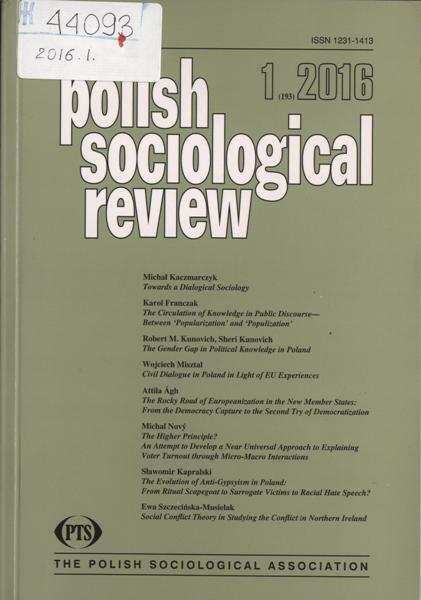 Polish Sociological Review is a quarterly, peer-reviewed and internationally abstracted. The journal publishes contributions from diverse areas of sociology with focus on social theory, social structure, social change, culture and politics in global perspective. Provides publications of Polish and foreign sociologists. Polish Sociological Review is published four times a year: March, June, September, and December. 25. Sociologia [Text] : slovak sociological review/ The Slovak Academy of Sciences, Institute for Siciology ; ed. M. Cambalikova. - Bratislava : [б.в.]. - Виходить раз на два місяці.- Отримується з 1969. 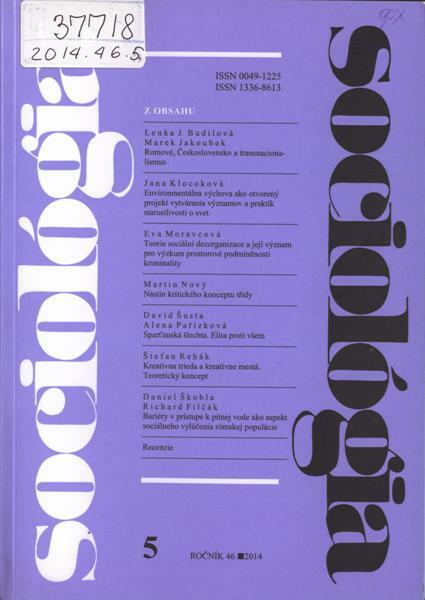 Journal Sociológia is published bimonthly by the Institute for Sociology of Slovak Academy of Sciences. The journal is published without interruption since 1969. 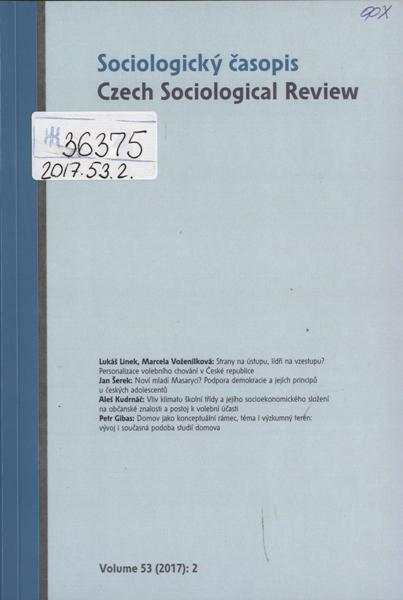 Since 1997 there are yearly four journal issues in Slovak and two issues in English under the title Sociológia - Slovak Sociological Review. Sociológia publishes original papers written by sociologist in Slovakia and abroad, sociological essays from our social, political and cultural life. It presents information about sociological publications, activities in social science, international conferences and sociological congresses. It pays special attention to the problems of civic society, to communities of cities and villages, to the sociological problems of enterprises and work, to the problems of family, youth, social structure and pathological phenomena. Papers from the history of sociology, from theory and methodology, findings of sociological research and surveys of public opinion are also published. The journal is not only for sociologists, but also for the broader public, for university and middle-level school students, teachers, cultural and educational workers, activists of political parties and civic unions, and for all those who want to know more about our society. 26. Zakład Narodowy im. Ossolińskich. Czasopismo Zakładu Narodowego imienia Ossolińskich/ Zakład Narodowy im. Ossolińskich ; red. A. Zielięski. - Wrocław : [ы. n.].- Отримується з 1999. Czasopismo Zakładu Narodowego im. Ossolińskich” jest ogólnopolskim rocznikiem naukowo-bibliotecznym. Pismo ukazuje się od 1992 roku, ale jego korzenie sięgają początków Ossolineum i woli jego założyciela, Józefa Maksymiliana Ossolińskiego, który powołując Zakład do istnienia, wyrażał chęć utworzenia własnego periodyku. Na łamach „Czasopisma ZNiO” ukazują się teksty prezentujące zbiory instytucji, popularyzujące jej historię i bieżącą działalność, a także omawiające relacje, jakie łączą Ossolineum z Lwowską Narodową Naukową Biblioteką im. Wasyla Stefanyka. W Ossolińskim periodyku jest także miejsce na opracowania rękopisów oraz na prace niezwiązane bezpośrednio z Zakładem: analizuje się tu utwory literackie i omawia ważne zjawiska z historii Polski oraz z dziejów polskiej kultury i sztuki. 27. Statisztikai szemle [Text] : központi/ Statisztikai Hivatal folyóirata ; red. B. Miklós. - Budapest : [б.в. ].- Отримується з 1956. A Statisztikai Szemle a Központi Statisztikai Hivatal havonta megjelenő tudományos folyóirata, mely a Hivatalnak és más intézményeknek az ország társadalmi-gazdasági életét átfogó adatai alapján elemzi és ismerteti a népesség, a gazdaság, a kulturális és szociális élet alakulását. Bemutatja a legkorszerűbb statisztikai vizsgálati módszereket, foglalkozik a statisztika hazai és nemzetközi történetével, ismerteti a magyar statisztikai szervezet működését, beszámol a külföldi országok statisztikai eredményeiről. A Szakirodalom rovat ismertetéseket közöl a magyarországi és a magyar nyelvű szakirodalomról, gazdag áttekintést ad a külföldi statisztikai folyóiratokban megjelent legjelentősebb elméleti-módszertani könyvekről és végül közzé teszi a KSH Könyvtár és Levéltár által összeállított társfolyóiratok tartalomjegyzékeit. 28. 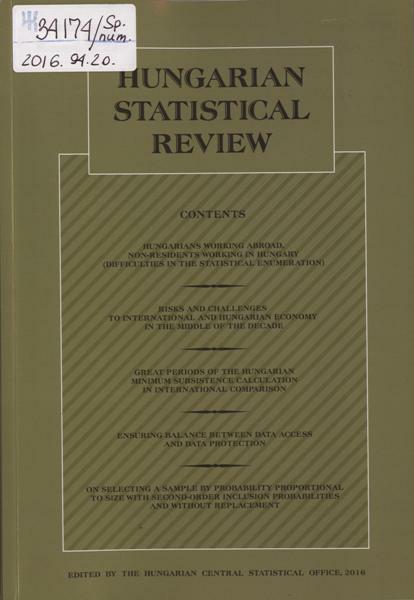 Hungarian statistical review [Text] : journal/ Hungarian Central Statistical Office ; ed. L. Hunyadi. - Budapest : [б.в. ].- Отримується з 1997. 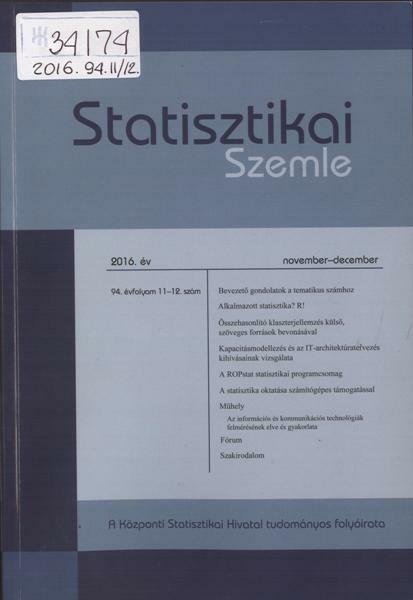 Published by the Hungarian Central Statistical Office once a year. Шифр зберігання журналу у НБУВ: Ж34174:Sp.num. 29. 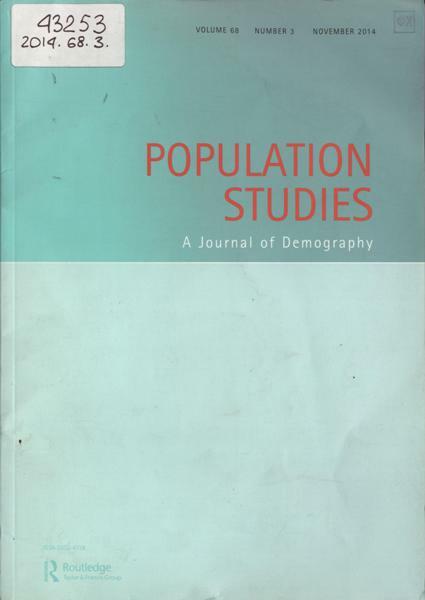 Population Studies [Text] : a journal of demography/ ed. J. Simons. - Lnd. : [б.в.]. - Виходить три рази на рік.- Отримується з 2008. For over half a century, Population Studies has reported significant advances in methods of demographic analysis, conceptual and mathematical theories of demographic dynamics and behaviour, and the use of these theories and methods to extend scientific knowledge and to inform policy and practice. The Journal’s coverage of this field is comprehensive: applications in developed and developing countries; historical and contemporary studies; quantitative and qualitative studies; analytical essays and reviews. The subjects of papers range from classical concerns, such as the determinants and consequences of population change, to such topics as family demography and evolutionary and genetic influences on demographic behaviour. Often the Journal’s papers have had the effect of extending the boundaries of its field. 30. 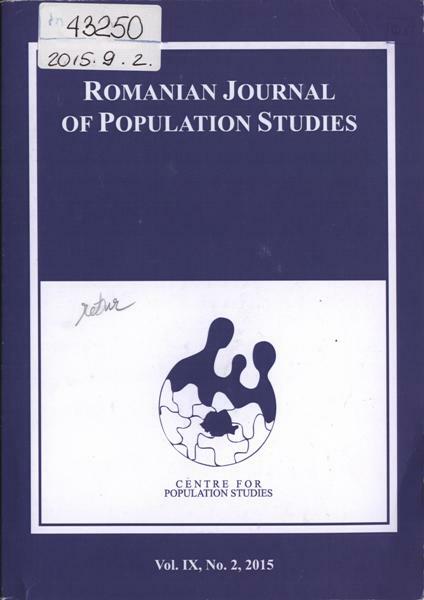 Romanian journal of population studies [Text]/ center for population studies ; ed. T. Rotariu. - Cluj- Napoca : Cluj University Press. - Виходить двічі на рік.- Отримується з 2007. The Romanian Journal on Population Studies is an interdisciplinary journal covering the social, historical, geographical, and economic aspects of the population. The journal focuses both on analysis made from the historical perspective and the present realities as well as the predictions made in the field of population issues in Romania and in other countries from this part of Europe. The journal is open also for studies on population phenomena from other parts of the world or for theoretical or methodological papers relevant for the study of population. The purpose of the Romanian Journal on Population Studies is to share the demographic realities, mainly from Romania, to all scholars from around the world who have an interest in this field, and to host relevant studies regardless they are authored by Romanian natives or from abroad. Both descriptive studies and research papers in demographic field are welcome.